The Truth About Van Halen And Those Brown M&Ms : The Record In the 1980s, Van Halen famously banned all brown M&Ms from their dressing room. David Lee Roth, reunited with the band for a new album and tour, explains why. 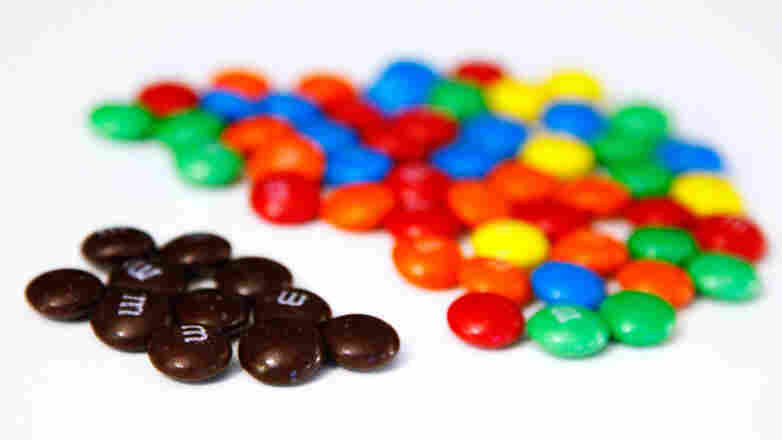 It's one of those rock 'n' roll legends that turns out to be true: In the 1980s, the party-rock superstars in Van Halen demanded, via a clause embedded in their tour rider, that no brown-colored M&Ms be allowed backstage at their concerts. The story's been told before (and you can see an actual copy of the rider here), but the release of a new Van Halen album with David Lee Roth behind the microphone seems to have been enough reason to get Diamond Dave to go in front of a camera for an official history of the outrageous demand. Though as he explains it, the clause was less an example of "simple rock star misdemeanor excess" than an ingenious, curiously skewed (and sadly still relevant) safety measure. I won't spoil the band's reason — just watch. Even if it's familiar to you, it's definitely worth hearing again, if only to spend five-and-a-half minutes with Roth at his most impish and charming.